The objective of the present article was to study the thermal degradation behavior and flame retardancy of flexible polyvinyl chloride (PVC) composites containing TiO2/SO 4 2− solid superacid because of its strong catalytic ability for esterification and dehydration. The TiO2/SO 4 2− solid superacid was synthesized by using precipitation immersion method, and its structure was investigated by X-ray diffraction. As expected, the value of limiting oxygen index for PVC/Sb2O3/(TiO2/SO 4 2− ) composite was 32.5% and the char yield of PVC/Sb2O3/(TiO2/SO 4 2− ) composite was significantly improved compared to neat PVC in thermogravimetry tests. In addition, the peak heat release rate and smoke production rate of PVC/Sb2O3/(TiO2/SO 4 2− ) decreased by 14% and 42%, respectively, compared with neat PVC. 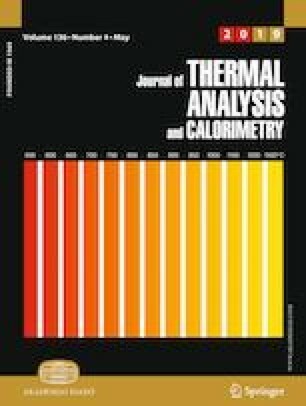 Moreover, the results of cone calorimetry tests and electron micrograph of char residue showed that the char yield of TiO2/SO 4 2− was enhanced, resulting in a strong char layer structure with outstanding fire retardance cone. In conclusion, the results of this work showed that the addition of solid superacid promoted the decomposition and dehydration of PVC, which formed a compact and continuous char layer on the surface of the material. Hence, the study provides a new perspective for producing composites with excellent flame retardancy and smoke suppression properties of PVC. Funding was provided by the Fundamental Research Funds for the National Natural Science Foundation (Grant No. 51574124) and the Central Universities (Grant No. 3142017065).